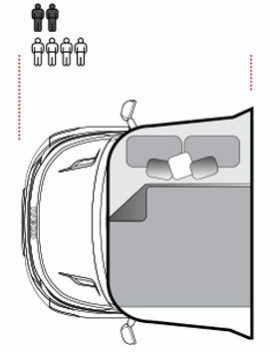 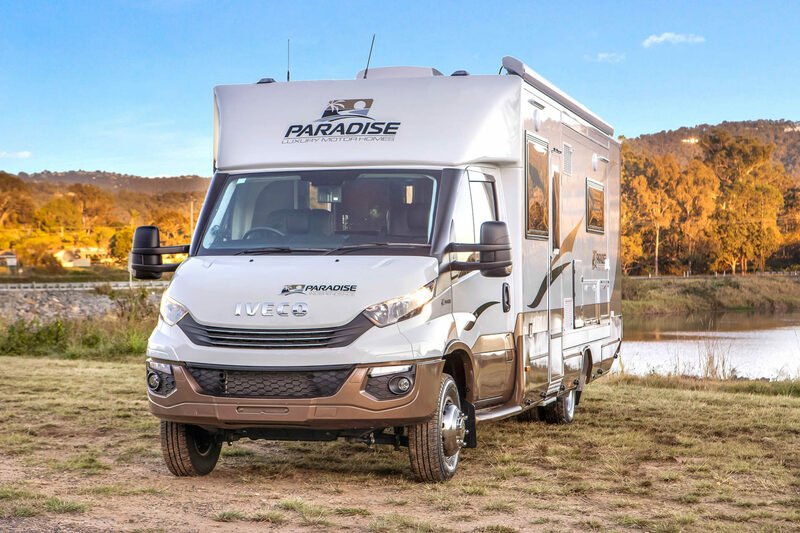 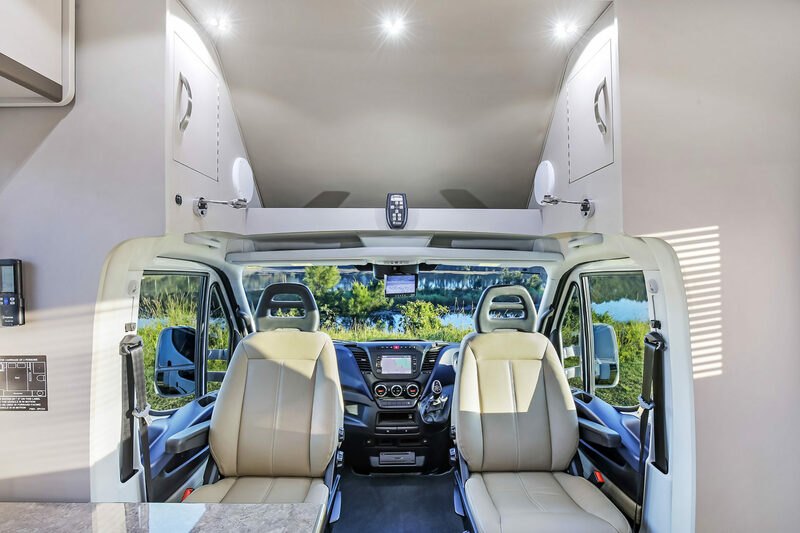 The living space available in the Independence Deluxe and Platinum is simply decadent. 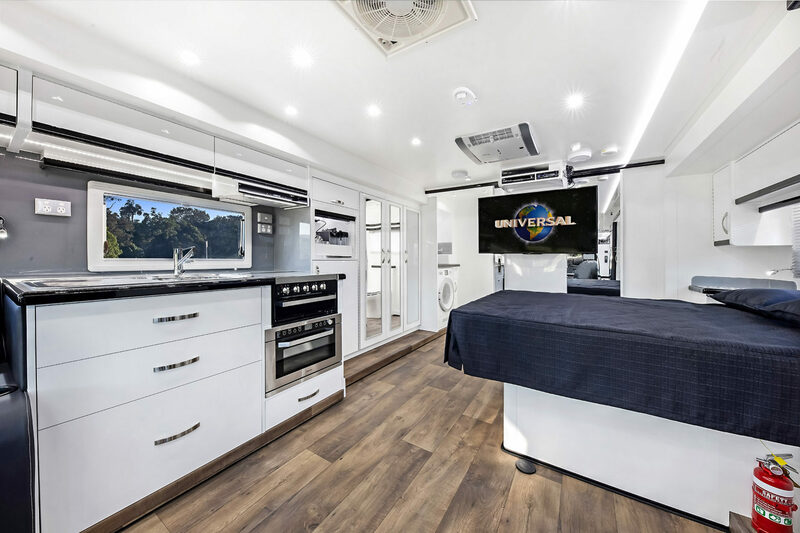 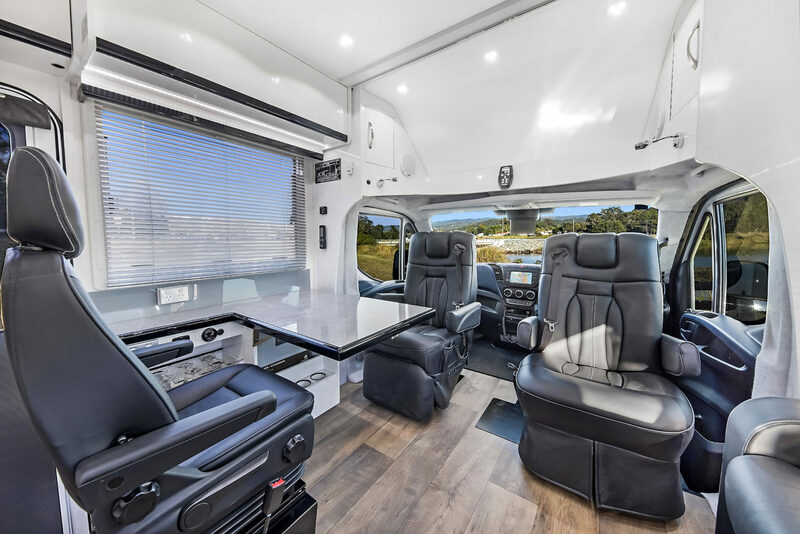 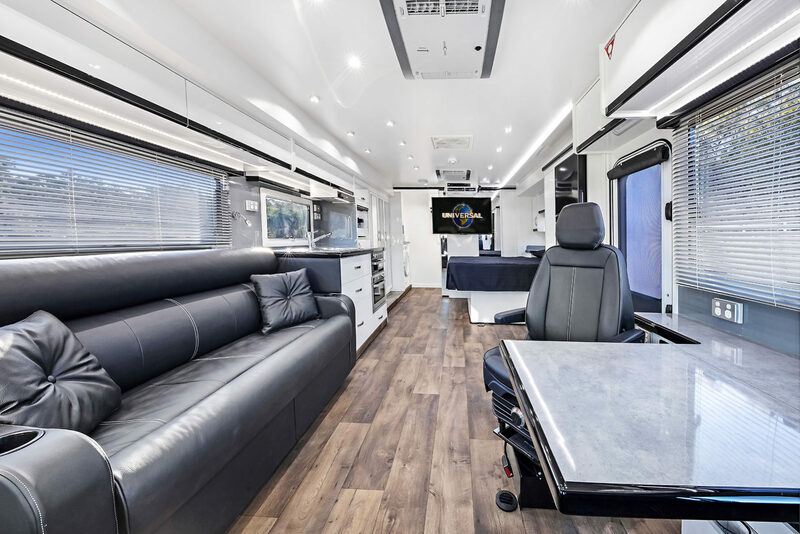 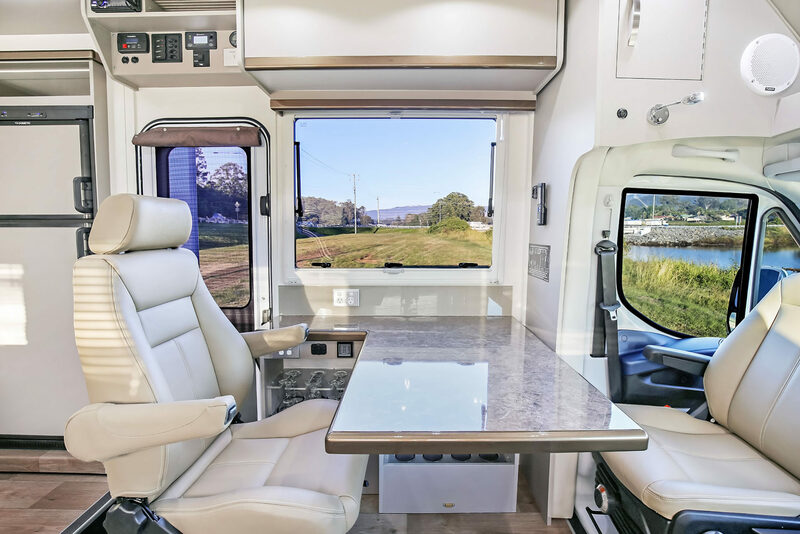 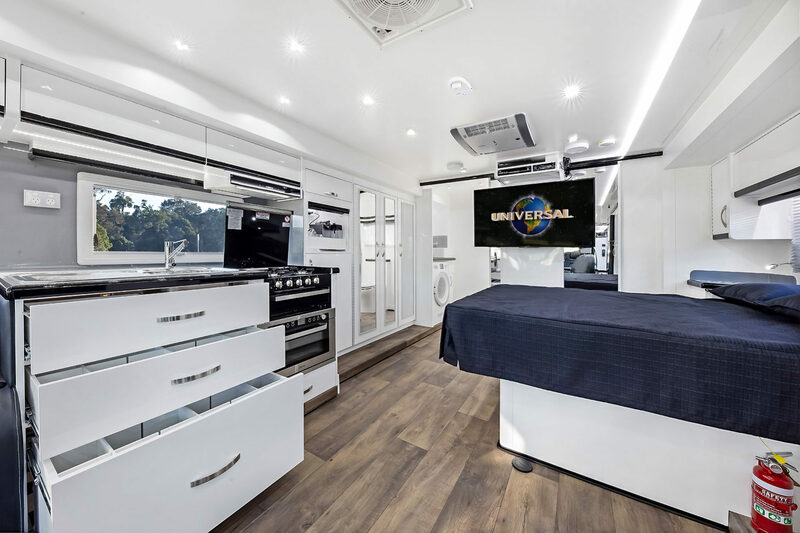 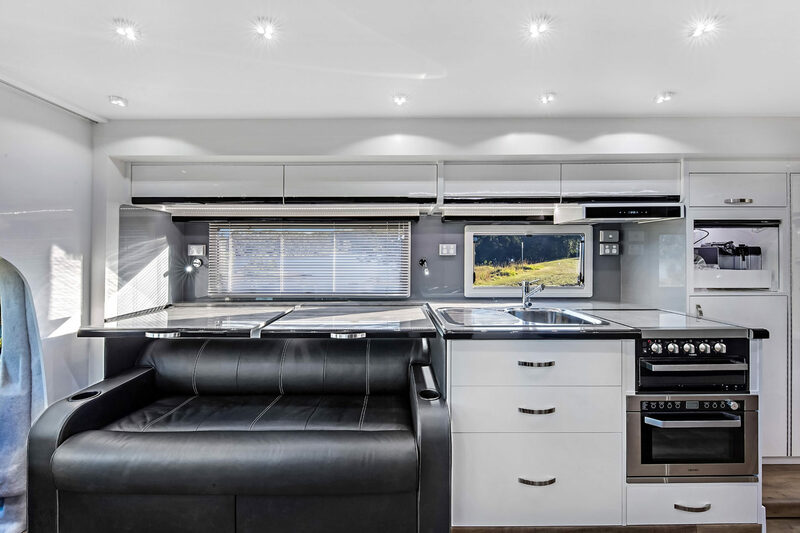 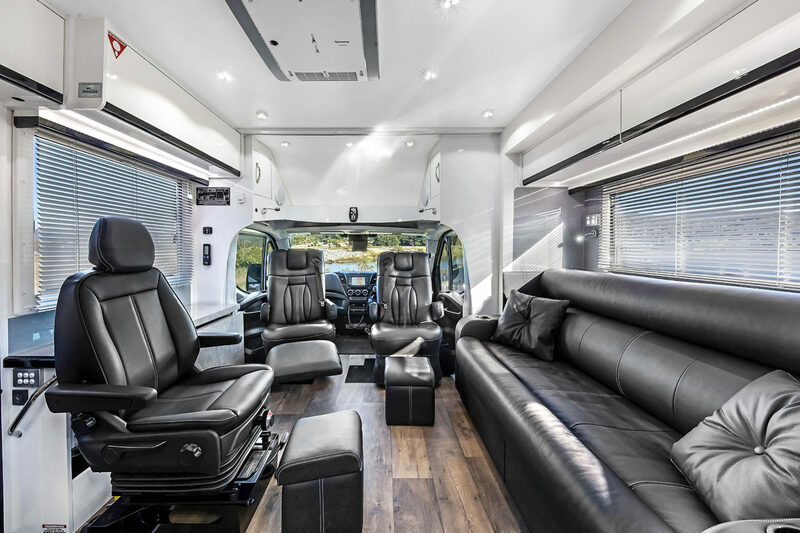 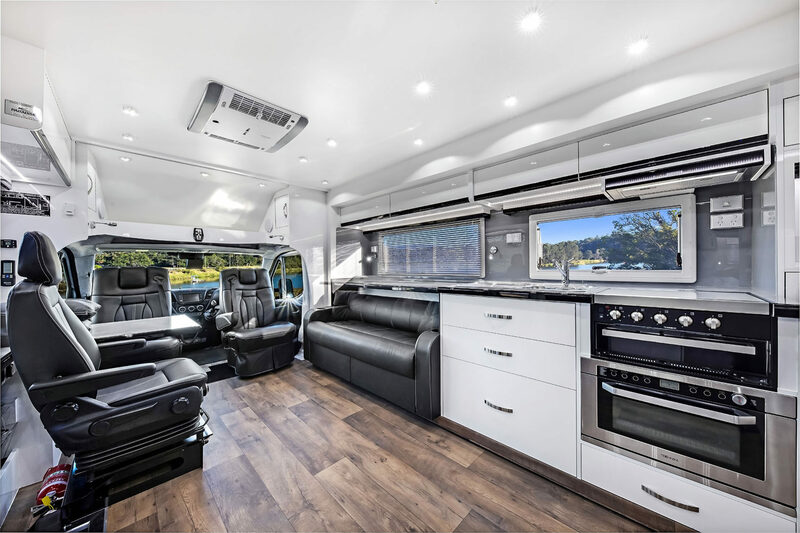 The entertaining area in the Deluxe has three luxury leather swivel chairs, two and three seater leather lounge/futon and a full leather club lounge which converts to a double bed in the Platinum floor plan all with a well-equipped kitchen and comfortable dining. 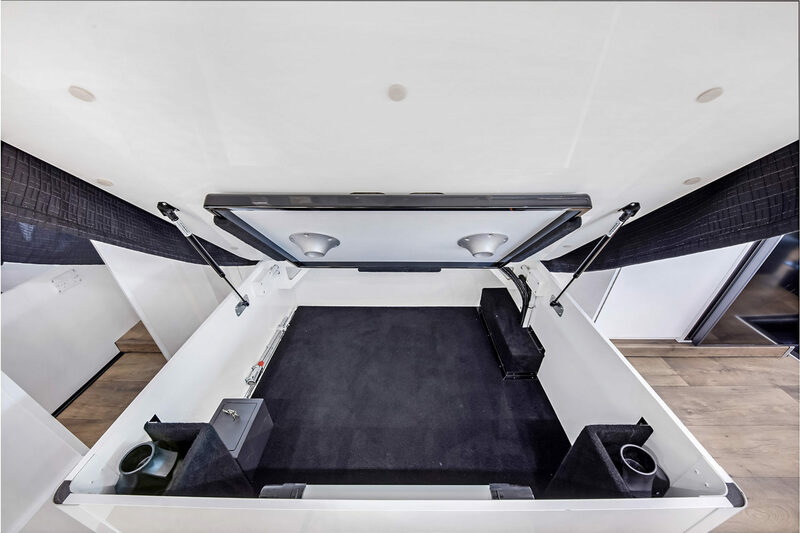 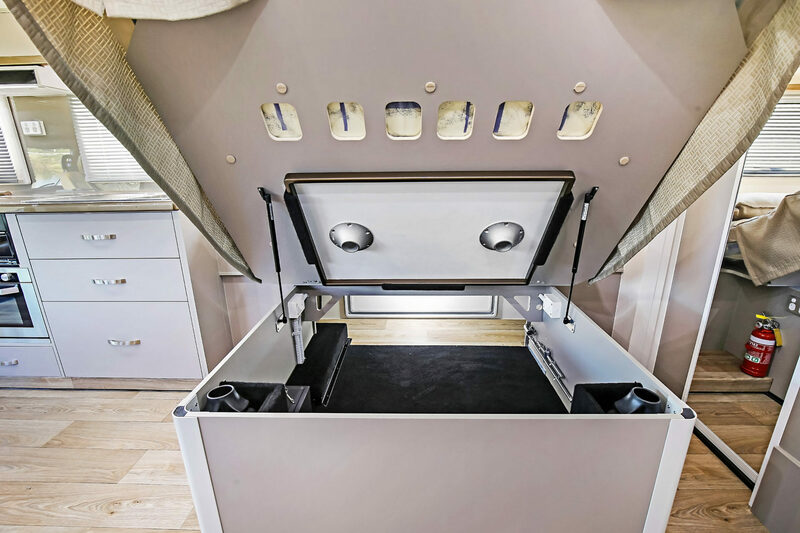 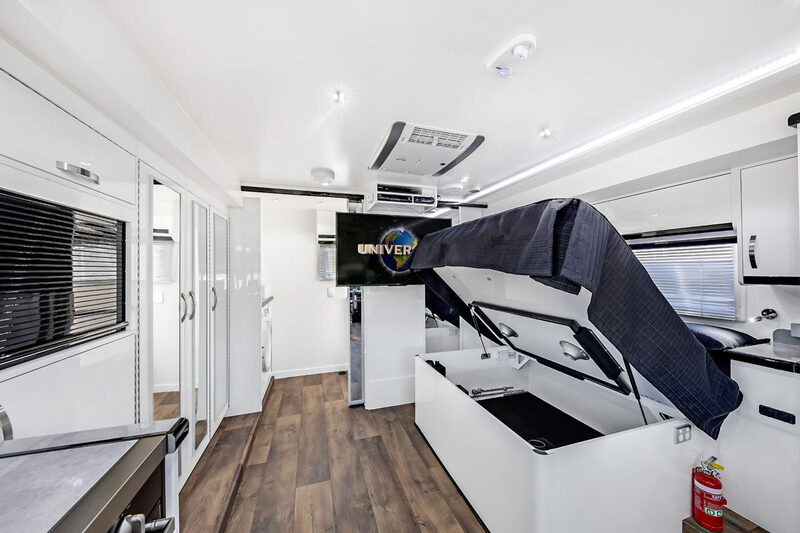 The massive bedroom features a 1.1m wide walkway between the huge 1.3m wide full-sized mirrored wardrobe and the foot of the island queen bed. 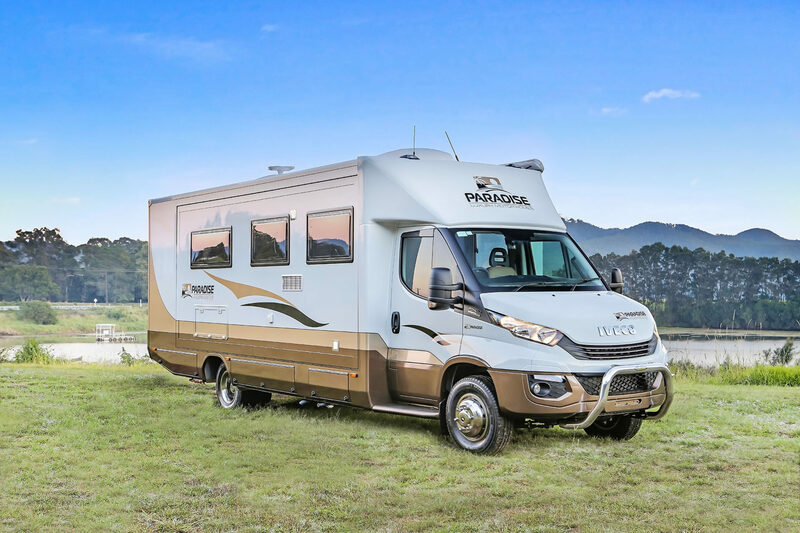 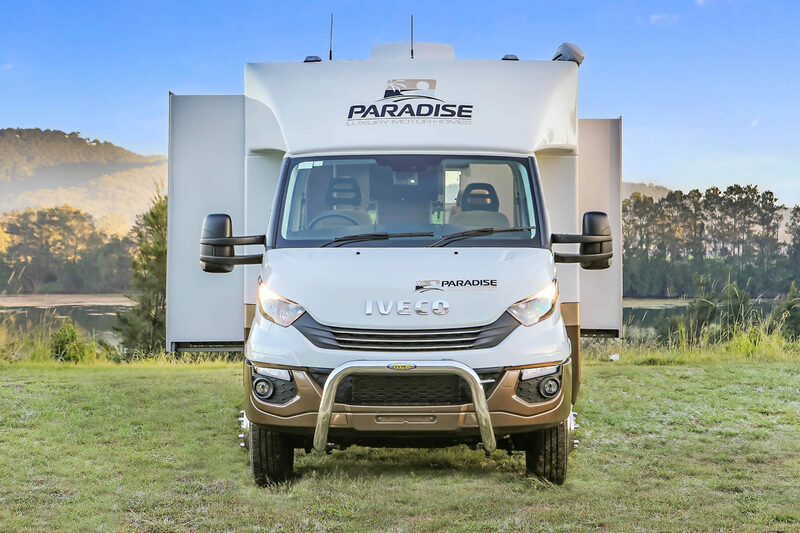 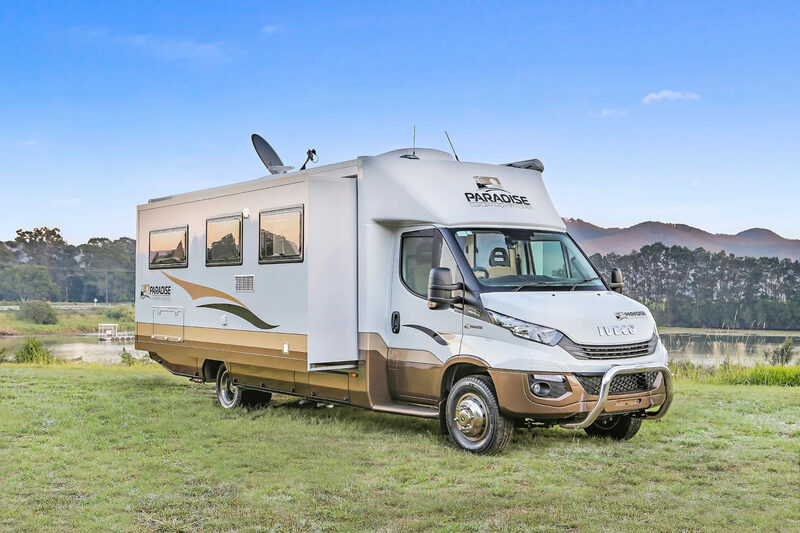 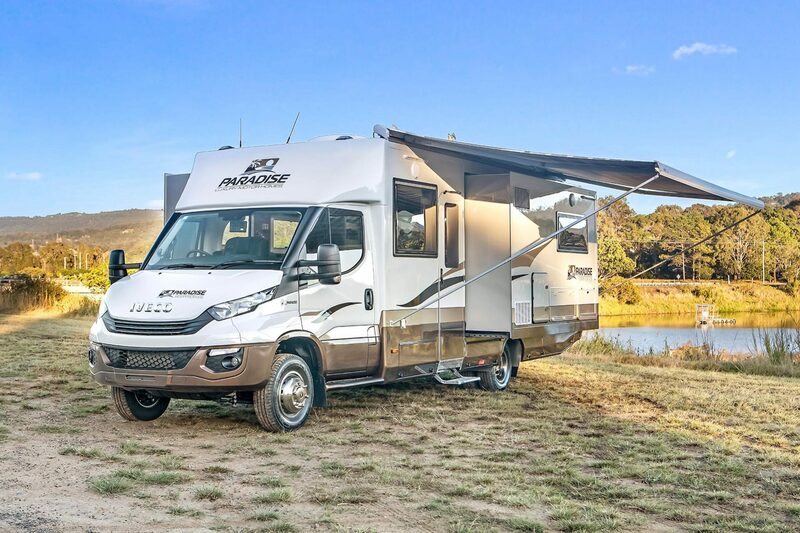 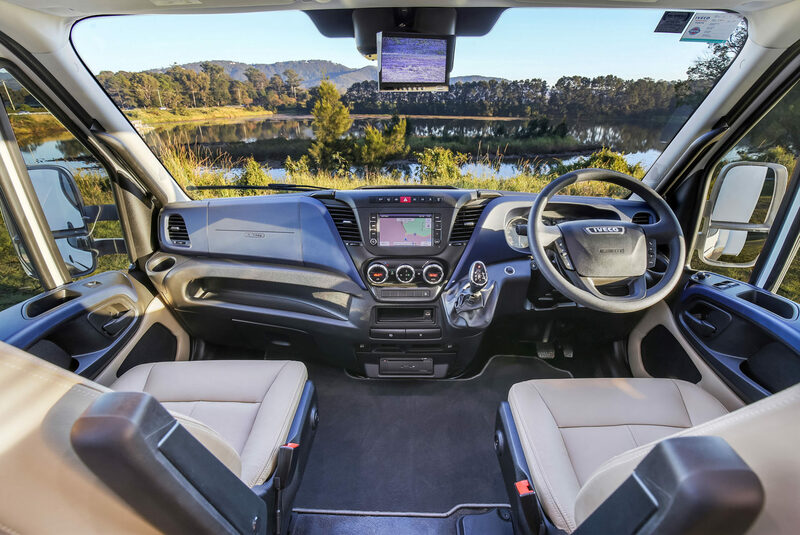 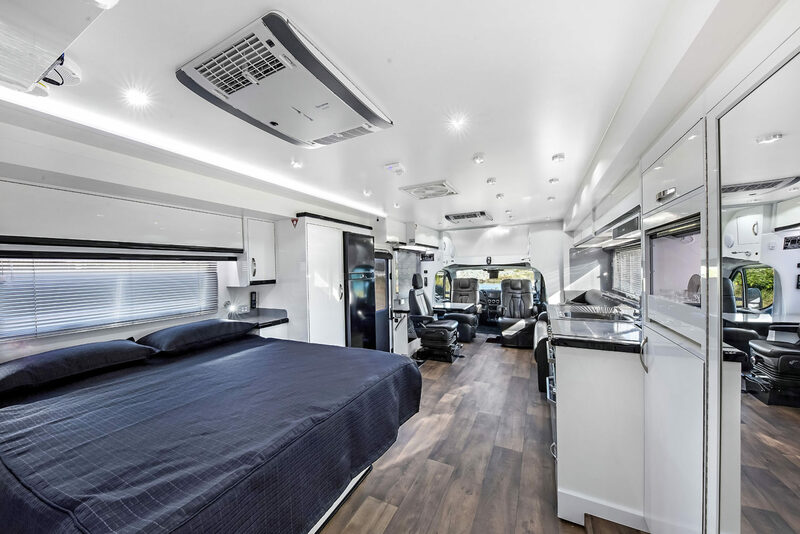 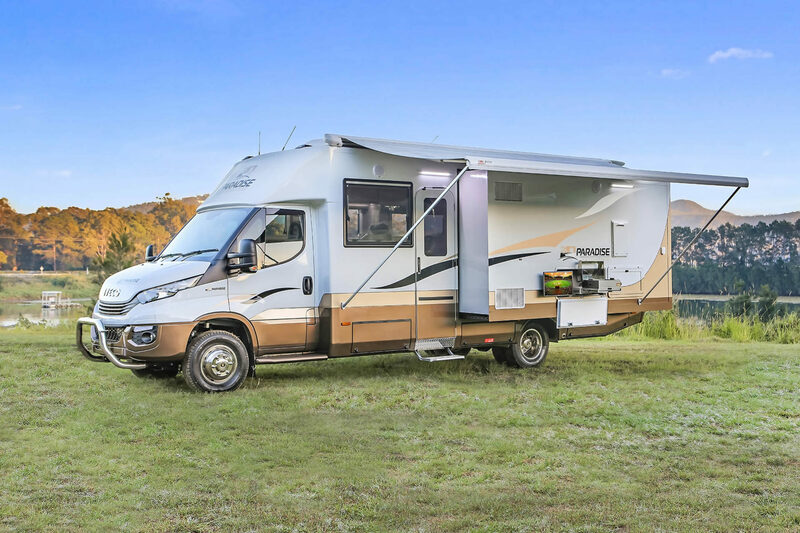 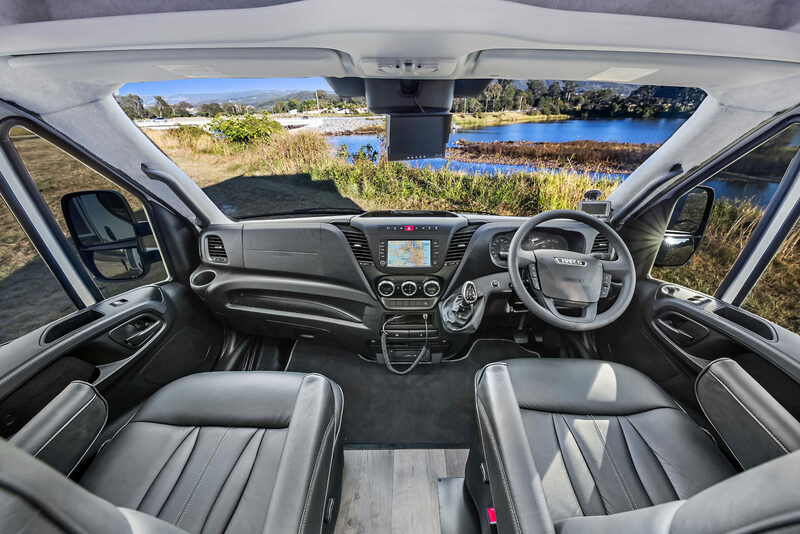 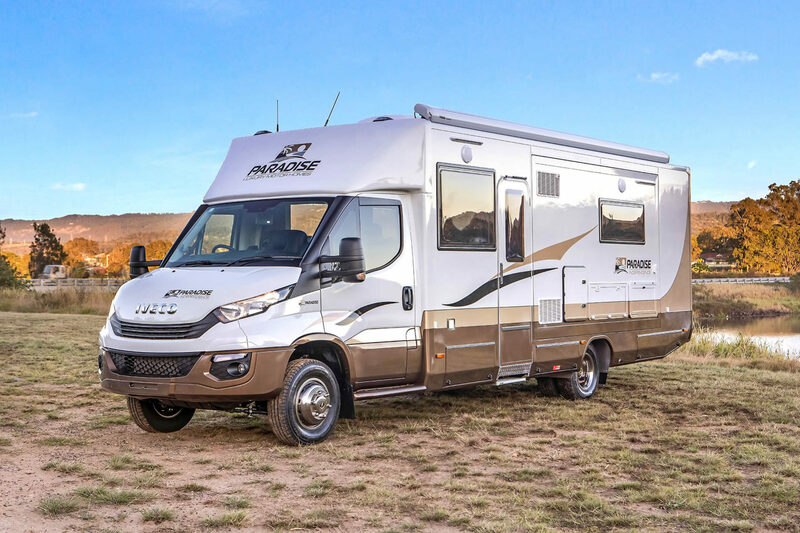 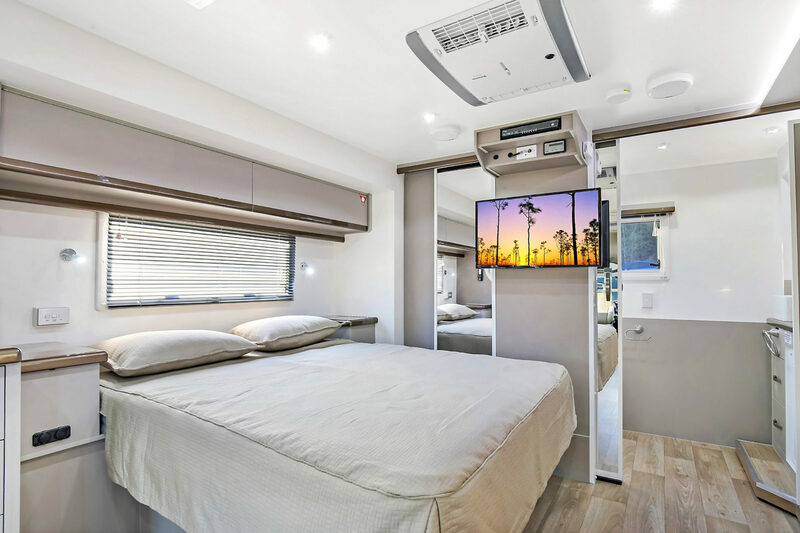 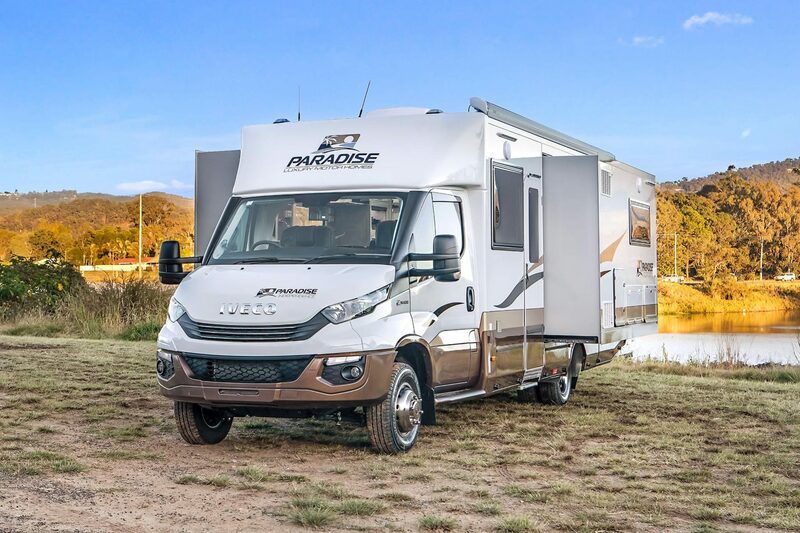 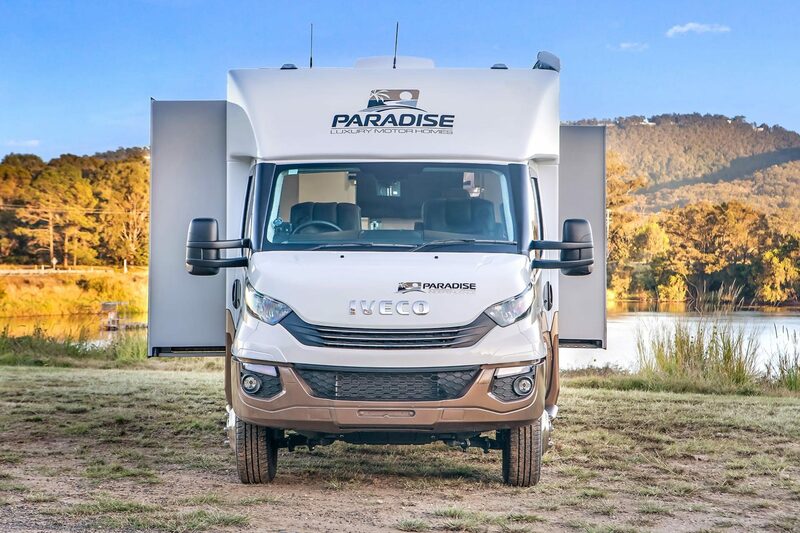 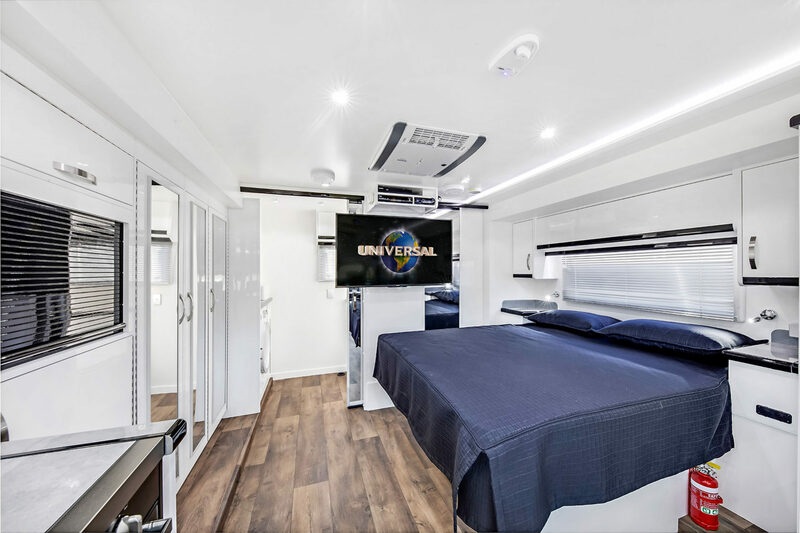 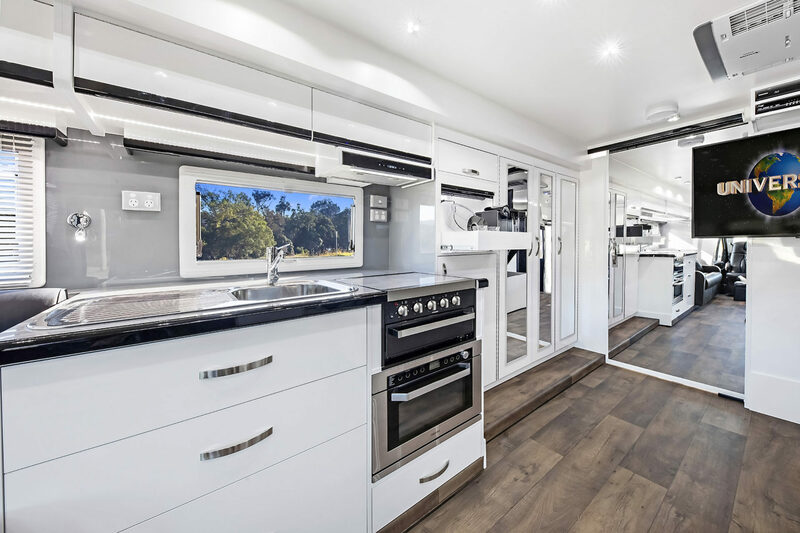 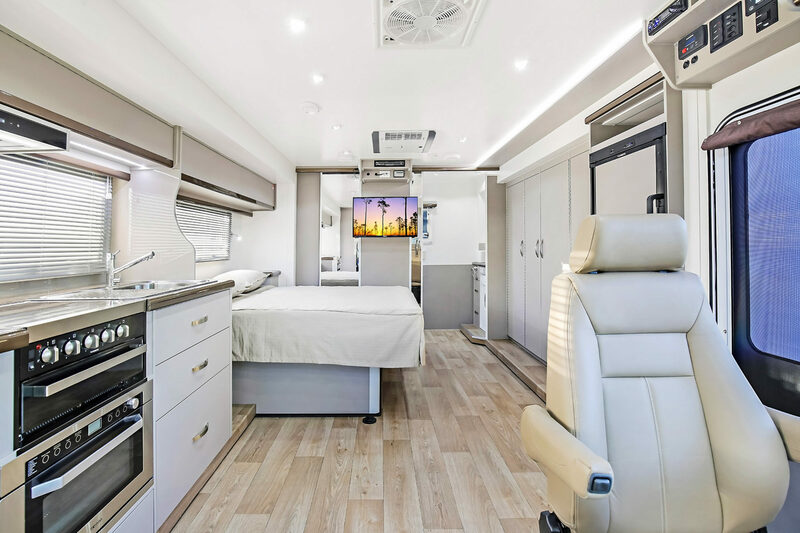 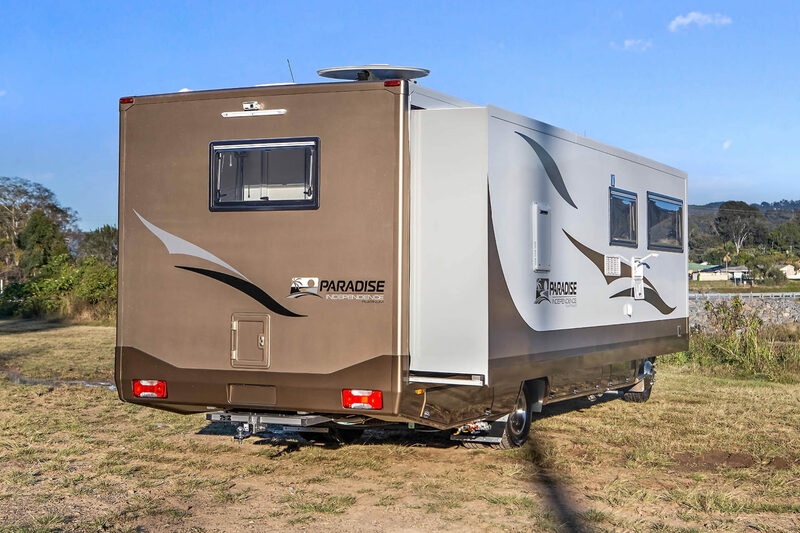 The huge ensuite has a large shower, separate toilet and internal laundry with combined washer dryer which is standard in all Independence models. 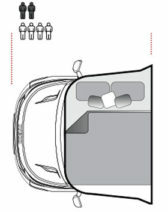 Available on all floor plans of the Independence series. 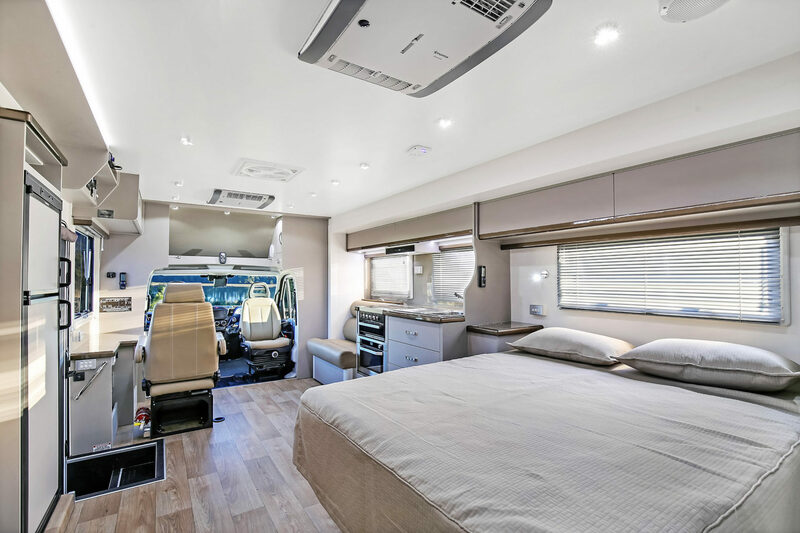 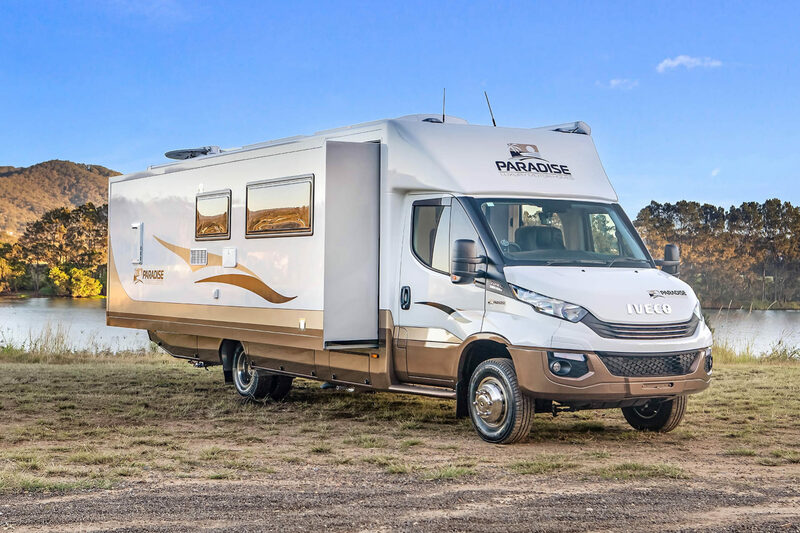 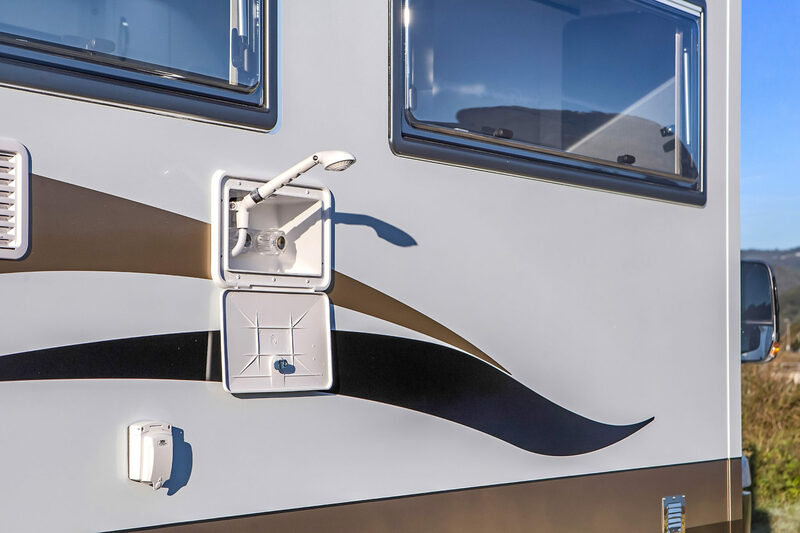 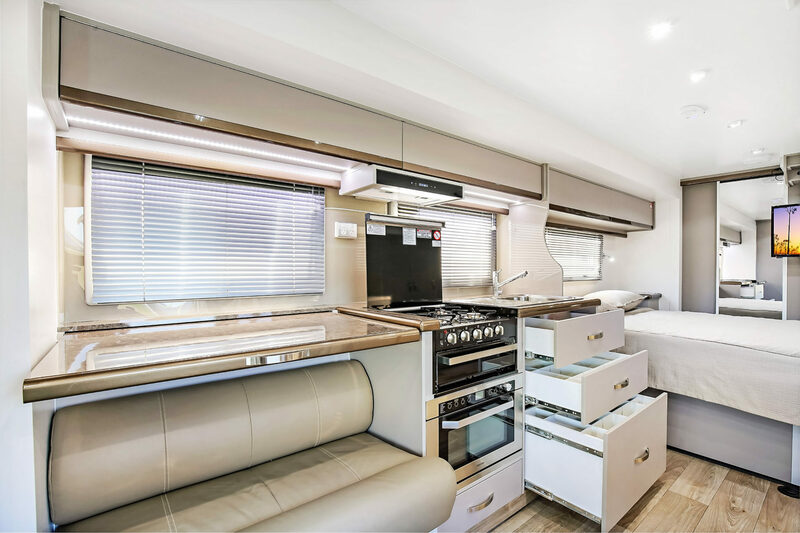 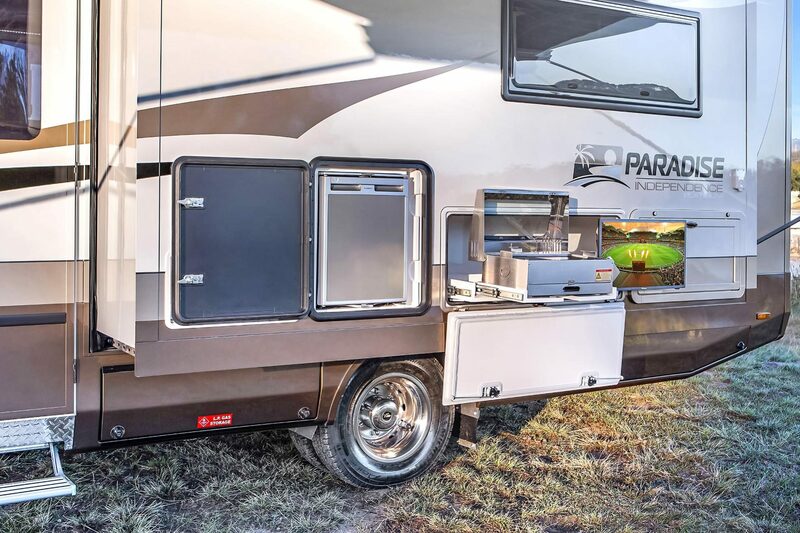 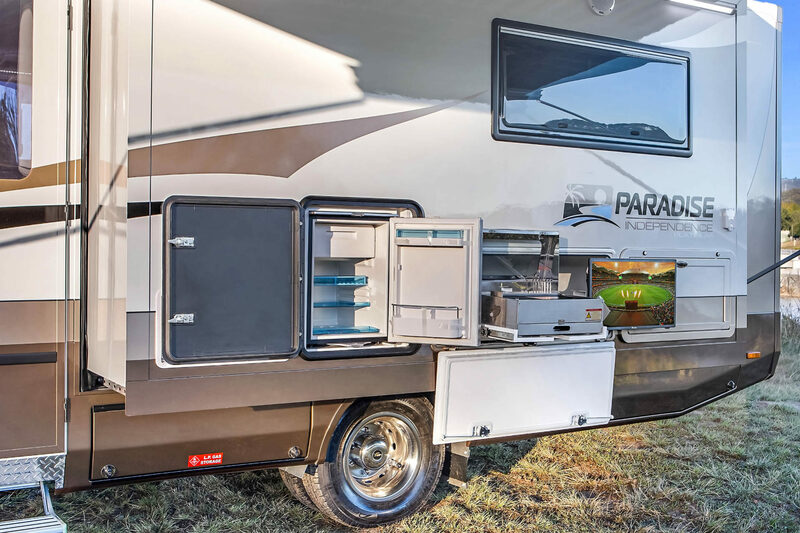 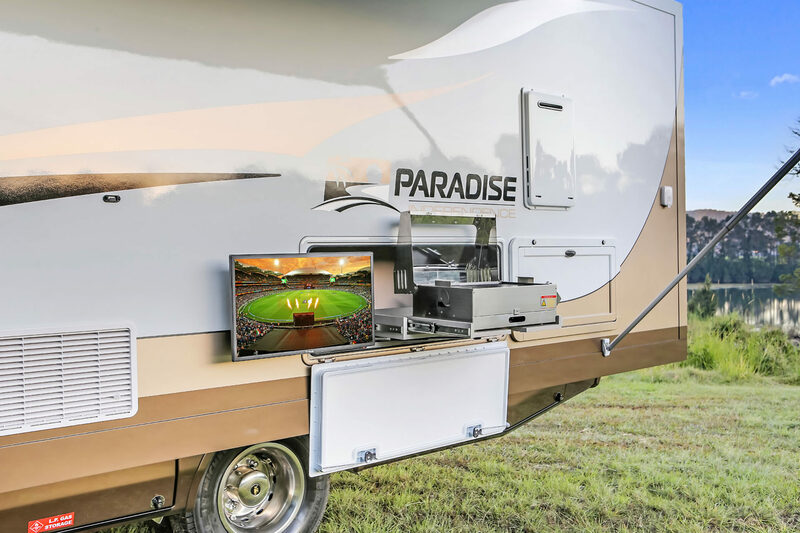 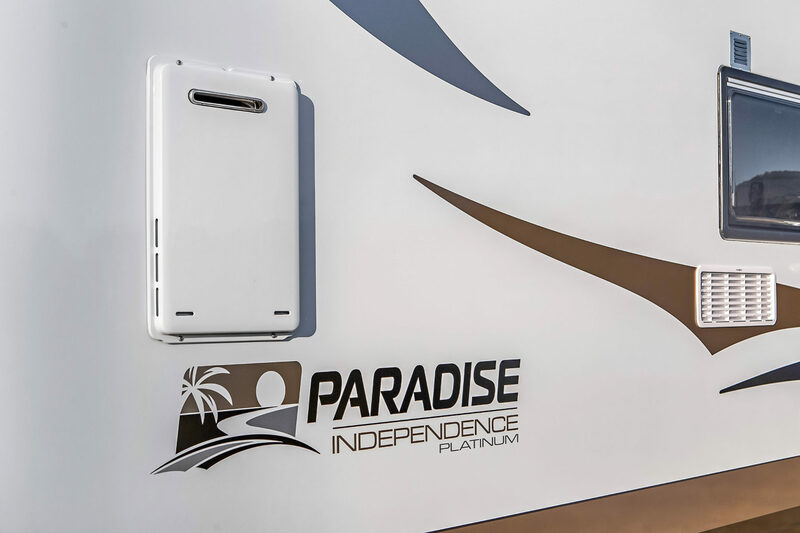 Click play to begin exploring the Independence Platinum series motor home.